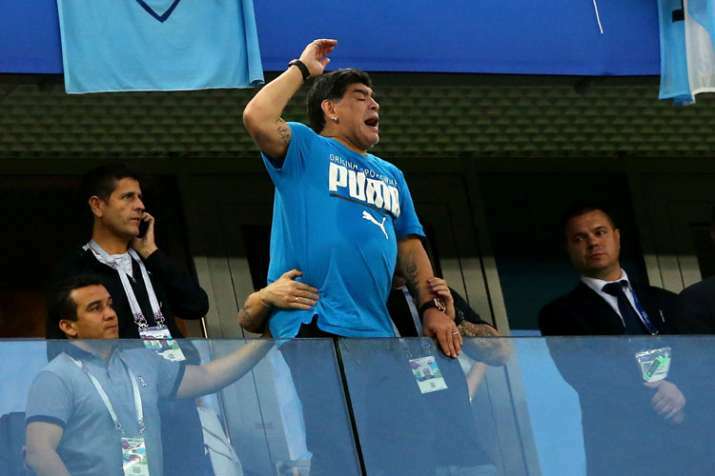 No other figure or former player is overshadowing their national team like Maradona is with Argentina at the World Cup. No other figure or former player is overshadowing their national team like Maradona is with Argentina at the World Cup. Then again, few have the emotional mood swings, box-office temperament and backstory that Maradona has. The world now awaits the next instalment of the Maradona story, at Argentina's round-of-16 match against France in Kazan on Saturday.